Many of our students volunteer at FIRST events/competitions for field setup and AV crew. Our students also hand out safety glasses in the pit and provide VIP tours. 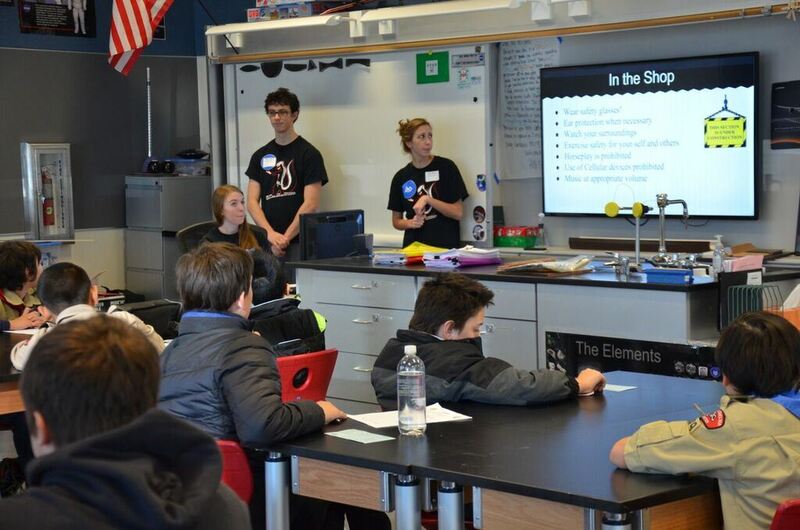 Lastly, our team also provides a sustainability workshop for teams. Every year, the FIRST program grows in Washington State. With more and more rookie teams, we do our best to get these teams off to a great start so that they can have success like we did in our first year. In our Rookie Workshops, we have a conference-type setting where team members can go to different presentations that we are holding. 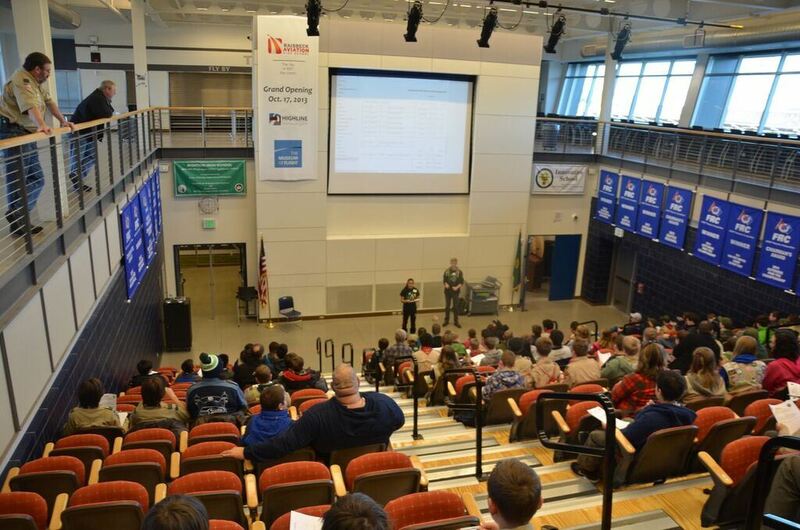 Covering topics from team organization to scouting, being a mentor to winning awards, we tried to cover every topic that is essential to teams and we partnered with FIRSTWA and other local teams to make it work. 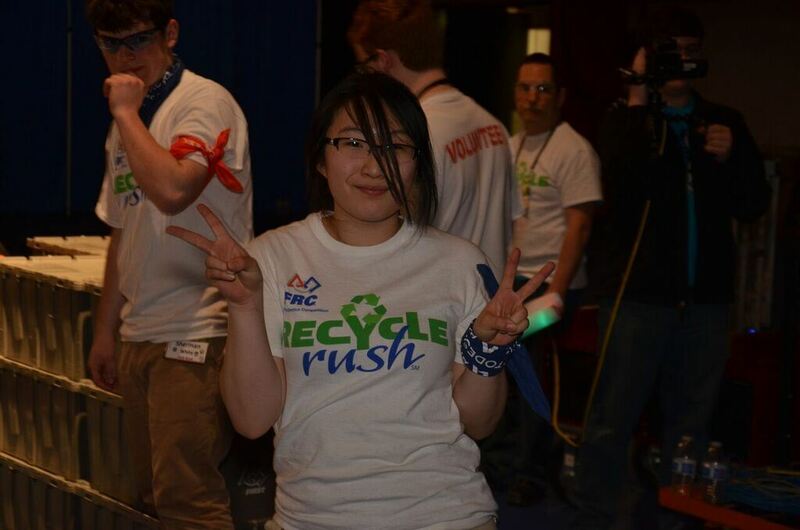 An alarming trend is facing FIRST: after 3 or 4 years, the majority of FRC teams face a “hump” and fail. By this time, the original wave of students has turned over and the passion can sometimes be lost. In order to reverse this trend and keep more teams sustainable, Skunk Works holds workshops on sustainability. In these presentations, we address the key issues of sustainable fundraising and parent involvement by our successful programs. In our fundraising efforts, we discuss our Spaghetti Dinner, Business Outreach, and Letter Writing campaigns, along with making sure that every student has a stake in it and so does the community. To keep the community involved, we make sure that the parents are completely on board and are well-communicated with. The parents control the school board which ultimately adds legitimacy in the school and is a key to success years down the road.